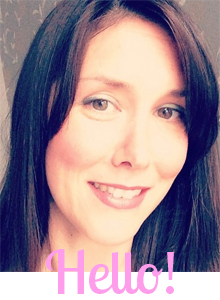 I ♥ Motherhood: One - A fantastic Brand Really Making a Difference! One - A fantastic Brand Really Making a Difference! One of my favourite bits about being a mummy blogger is being invited to events and since I started this blog my favourite ones have been the cooking ones (Philly & Young's). I love food and cooking and so to be able to meet with other like minded people and to sometimes get to see a famous chef in action is really great! A couple of weeks ago I was lucky enough to attend a cooking event where one of my favourite TV Chefs, Simon Rimmer (Something for the Weekend), cooked us some fantastic food using some really good quality ingredients. The event was held by the 'One' brand, you may have seen some of their range in the supermarkets? It all started with a discussion in a pub between some Ad men about the fact that one billion people in the world do not have access to clean drinking water. 'One' was born and from One Water they went on to create other One products: One Good Egg, One Clever Loaf, One Toilet tissue and One condoms and a few others. The idea behind it is that every One product funds a like for like project, so bottled water funds clean water projects in Africa and eggs fund chicken and egg farms. It's really simple! All profits from each of the One products goes to fund the afore mentioned projects. It is such a brilliant way to give back to society - these are all products that we use every day so why not use them and help others? So on the day of this event, I skipped out the door leaving the OH to do the regular Saturday stuff with the kids - MAD Academy and soft play. I did feel slightly sorry for him but my pity soon disappeared when I arrived at the venue and saw what we were going to cook and caught sight of Mr Rimmer in some fetching bright green trainers! And then we got down to the business of cooking and Simon had created 3 recipes that were set to have us all salivating and wielding our forks to get a bite! He made the Chorizo Scotch Eggs with Pepper Chutney, Lamb Tikka with Curried Cauliflower Pancakes and Earl Grey Bread and Butter Pudd (recipe below), all recipes used One Products and they tasted bloody delicious! After we watched Simon do all the hard work we all set to work to make our own Scotch Eggs to eat for lunch and they were so easy to make and so much more delicious that any shop bought number. Having to really hold back from scoffing the lot! 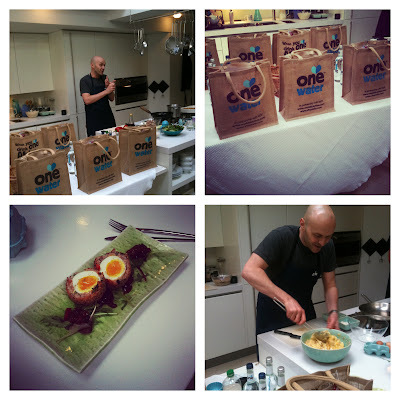 I really had a fabulous time that day and would like to say thank you to One for inviting me and also thank you to Simon Rimmer for some fantastic food and great recipes to go away with. I also got to meet some other excellent bloggers, amongst them Claire from A Boy with Aspergers. We had a lovely chat over a glass of vino and the delicious 'One Good' Scotch Egg we all made! Claire from A Boy with Aspergers, Simon Rimmer and little old me! And finally here's a recipe from the day, this is the one of all the 3 that I seriously loved and will definitely be making at home soon! *NEW* Johnson's Skin Perfecting Oil - HELLO ME! Philadelphia with Cadbury - Choccy Philly!